Windmills in Britain probably date back to the late twelfth century. By 1825-35 there were about 285 mills in Essex. A century later, only a handful were still at work and by the mid-Twentieth Century all had ceased. Our walk along Duck End (previous page) soon brings us to the mill. There were once eight or nine of them in the parish of Finchingfield. 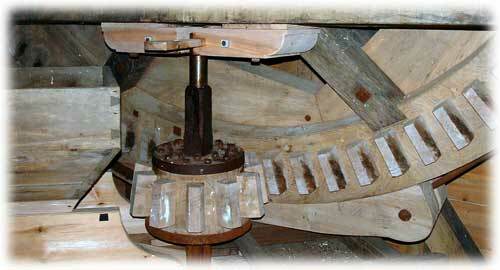 This post mill is the only one to survive. It can be traced back to 1756. This view is from 1896. It was originally built as an open trestle mill, the roundhouse being added in 1840. The mill fell into disuse a few years before this photo was taken. The tapered chimney just to the right of the prominent cottage belonged to a steam powered mill. Picture supplied by Ron Hawkins. 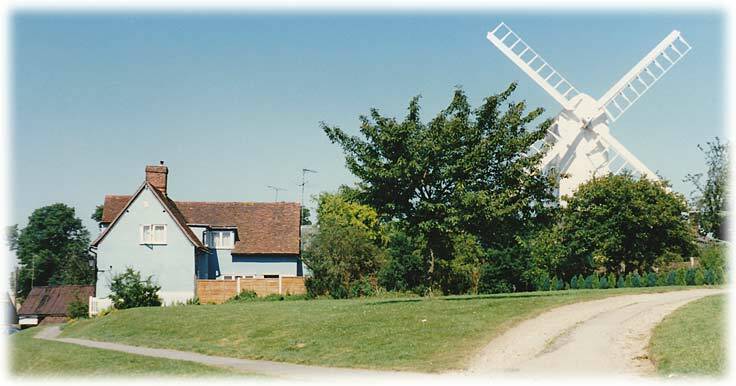 The mill is now owned and was restored by Essex County Council. 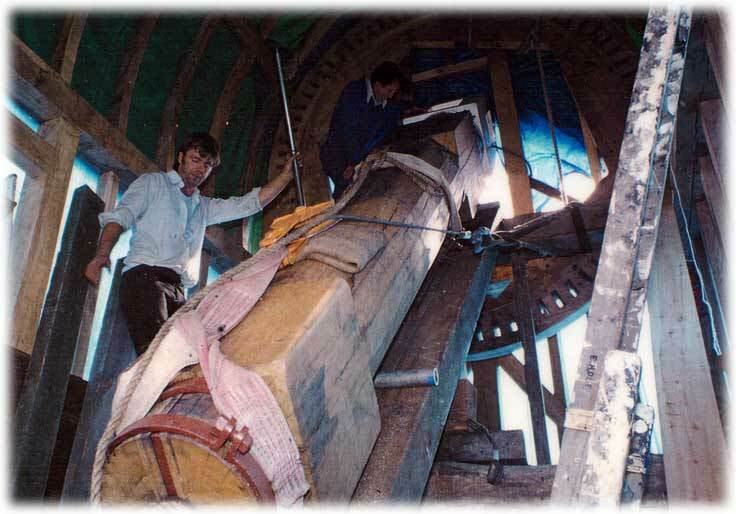 Thanks to David Morgans for supplying these three photos including, above, a view of the interior as the shaft was being installed. 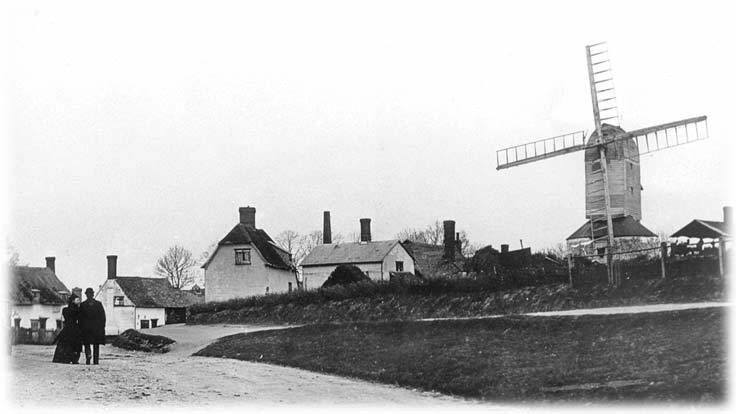 The mill isn't workable, due to its location among trees and close to cottages. It is open on the third Sunday of each month, from April to September, between 2pm and 5pm. 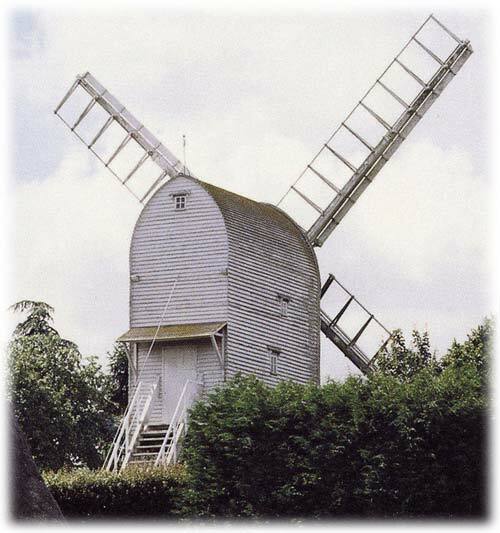 Visit the Essex County Council's page about the mill. It includes contact details to arrange school or other group visits. This photo was taken in the early 1990s.